The GST council has lifted the veil from GST rates across goods and services that will be applicable on different goods and services. GST council has made the much-awaited announcements around tax rates on various categories of goods. There has been a hype around these rates for a while and now these rates are finally in the public domain. As soon as the GST rates were announced a huge wave of curiosity hit across industry and trade bodies. Everyone is evaluating their position as a result of this change. Sugar, Tea, Coffee and Edible oil will fall under the 5 per cent slab, while cereals, milk will be part of the exempt list under GST. This is to ensure that basic goods are available at affordable prices. Coal to be taxed at 5 percent against current 11.69 per cent. This will prove beneficial for the power sector and heavy industries which rely on coal supply. This will also help curb inflation. Toothpaste, hair oil, and soaps will all be taxed at 18 percent, where currently they are taxed at 28 percent. 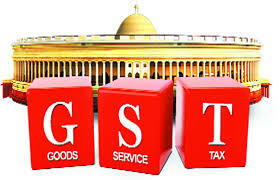 Most of the cosmetics and fast moving consumer goods (FMCG) brands should get the benefit of this tax reduction. services on Non-AC restaurants will be 12 per cent.